Allegro Pediatrics has been able to support its mobile workforce by expanding its Citrix IT infrastructure. The expansion has increased the performance, speed, stability and scalability of the delivery of its EHR and apps to its clinicians. The 90 physicians who work for Allegro Pediatrics are a mobile group, moving to and from its eight clinics and local hospitals in the Bellevue, Washington, area. The need for physicians to be able to access patient data anywhere or any time was the driver for providing mobility solutions, according to CIO Brock Morris. And a mobile environment such as this one requires a robust IT infrastructure to support both physicians and an IT team. In 2009, when Allegro Pediatrics first implemented its electronic health record (EHR) system, Morris’s team decided to expand its Citrix deployment, which is now comprised of Citrix NetScaler, XenApp and XenServer. The goal was to securely deliver the EHR and other applications to the end user with performance, speed, stability and scalability in mind. The IT team leverages Citrix NetScaler to manage its user load across all of its XenApp servers and its EHR application servers. With eight clinics, physician shortages often occur. 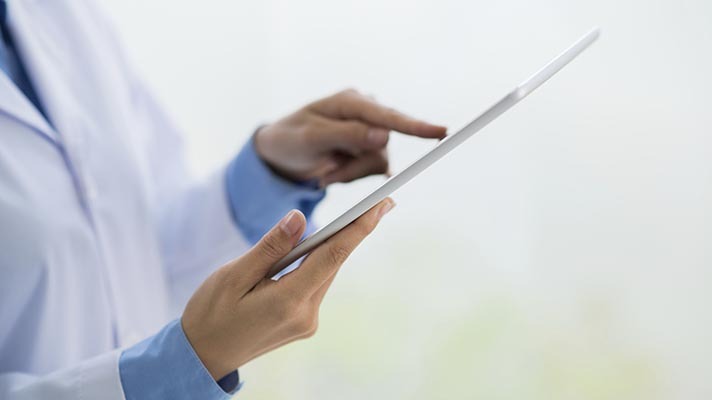 Armed with the devices that they’re comfortable with, physicians can easily move from one clinic to another without having to become familiar with specific devices in any particular clinic. This seamless experience and accessibility to patient data has led to higher physician satisfaction, according to Morris. One of the most important benefits of having a Citrix-based infrastructure is the fact that no patient data resides on devices. Instead, data remains in the data center. “If the devices are lost, retired or stolen, we can remotely disable them to ensure the safety of protected health information,” says Morris. Allegro Pediatrics has also garnered business benefits. Now physicians are able to fill out billing forms online when they visit newborns in the hospital – a task that previously was often completed after the fact. Bills are sent out in a timely manner and accounts receivable is collecting payments sooner than ever before.